Are you choked up with work and never chanced to make a drive to the field for your golf practice? Here is good news for you, Hit Golfing Net is all you need! Perfecting your ball strikes and becoming a pro in the golf game requires frequent practice, it goes without saying that every golf player needs to acquire the best golf kit within their reach for practice. By owning a golf hitting net, you can frequently practice, learn new ball strike skills and develop your swing abilities without travelling miles, right from the comfort of your home. The big question now becomes, “How do you know the right golf hitting net that’s best you?” With tons of information online and lots of new and different models of golf hitting nets popping the market, it becomes dicey for one to decide and pick an excellent golf net that serves them best. Many factors come to play when deciding the golf net that’s best for you. Your budget, space, durability, and colour, are things you need to reconsider before hitting the market for your purchase. With all these factors carefully thought through, you’ll be sure to make an excellent pick from our compiled list of golf hitting nets. Swing into your passion for excellence and unleash the golfing legend in you with this impeccably featured golf net. Designed with durability, easy carriage, and less complexity in mind, the Galileo Golf Net is built with 11mm fibreglass, 50%PE+50%nylon net, Oxford, and offers you a standout anti-rust and anti-deform feature. So, if you’re looking for a multi-purpose and easy-use practice net, the Galileo Golf net is ideal practice net for you. 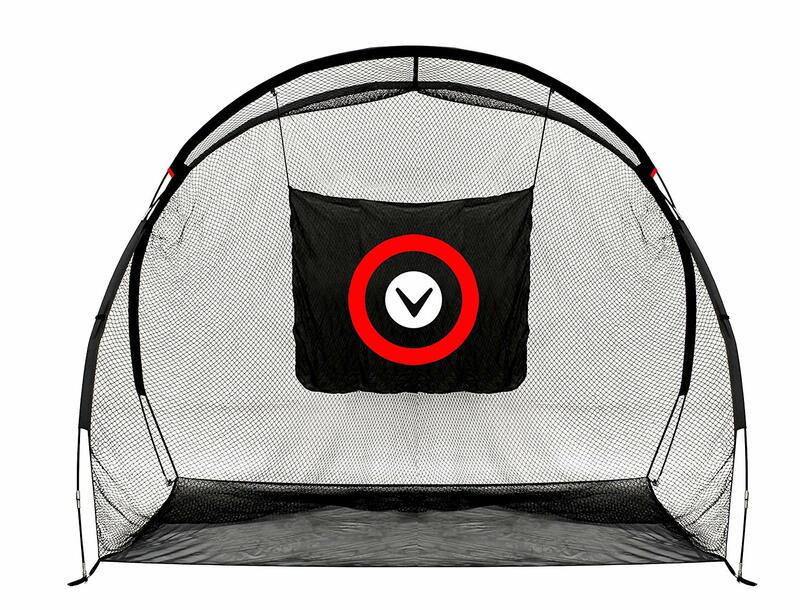 Enjoy the convenience and liberty to practice your golf strike skills at home with the Haack golf net anytime! Built to withstand the most rigorous practice sessions, the golf net features a new cage design that confidently allows you to practice your most aggressive shots without fear of deform or tear. If you’re looking for something sizable, reliable, and long-lasting, we’ll advise you go with the Haack Golf Net. Are you looking for a good hit net with all the golfing packages? 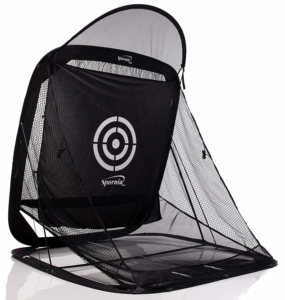 Get all the fun in the golf game and practice optimally with the Spornia SPG-7 golf net! Designed to offer complete practice, the Spornia SPG-7 golf set comes with an automatic ball return system, attached red chipping baskets, and large patented target sheets. You no longer have to worry about having many balls for practice, noise, and learning the short strike skills. 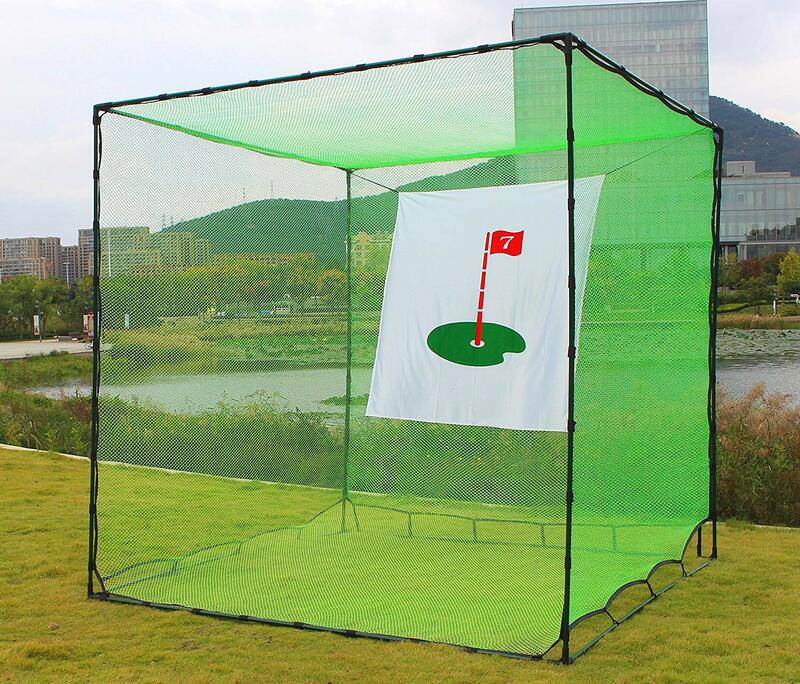 This practice net will be best enjoyed by newbies or novice golf players. 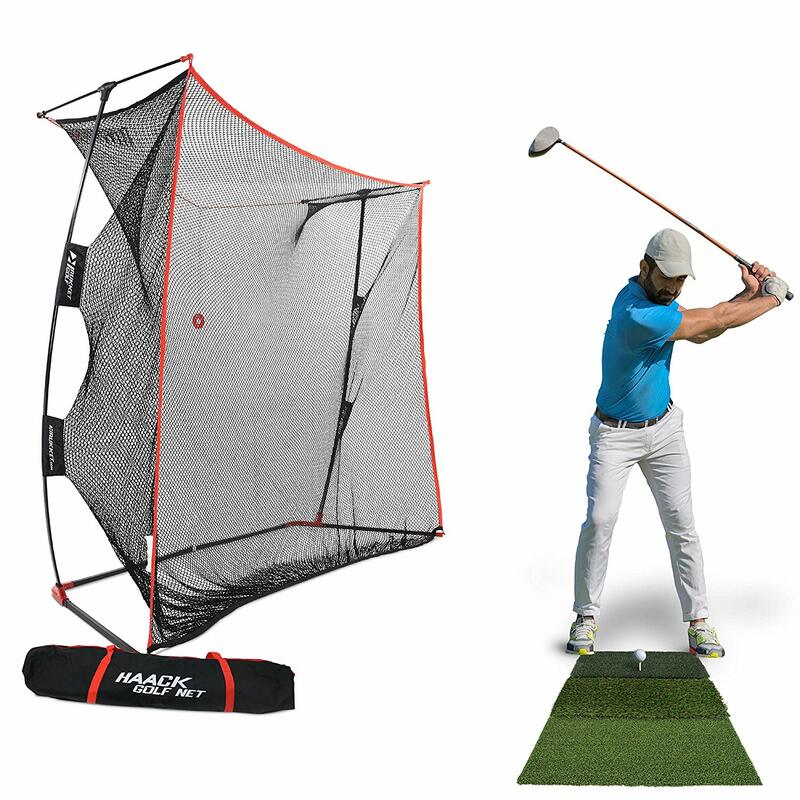 The Rukket Golf Bundle is an excellent choice for you if you’re looking for a budget golf net with durability and strength. Designed for optimal practice and comfort, the Rukket Golf Net comes with an improved easy fold technology and ball roll back ability features. It also comes with a well-padded weather-resistant nylon case. 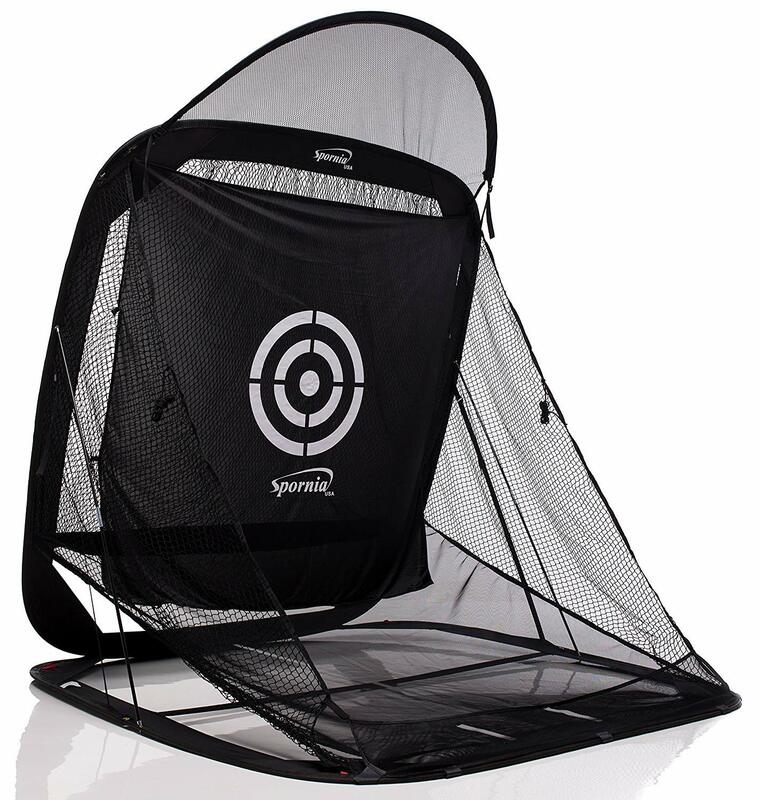 So, you’ll be saving money and perfecting your ball strike skills with the beautiful golf net. Built with the best of materials for strength and longevity, the Nova Microdermabrasion golf net is lifetime practice net that is constructed with steel poles, reinforced fibreglass and 7 plies knotless Net. These golf nets have an elegant corned shape structure with a vast net area, you’ll love its large training mat for all your angle strike practice. Learn new ball strikes and polish your golfing skills to perfect with the Callaway Zenith hitting net! Designed with reinforced fibreglass frames, this set is built with a shot wedge technology that allows you to practices with your most aggressive shot without causing damage to the net. The best of it all is that the Callaway Zenith net comes in a stylish cross base design for more balance and stability. If you’re looking for a modern style net that’s durable, portable, and reliable, the Callaway Zenith net is what you need. The 3 in 1 golf practice set has it all! Designed to serve all golfing purpose, this set offer use you three different practice packages all in one set. 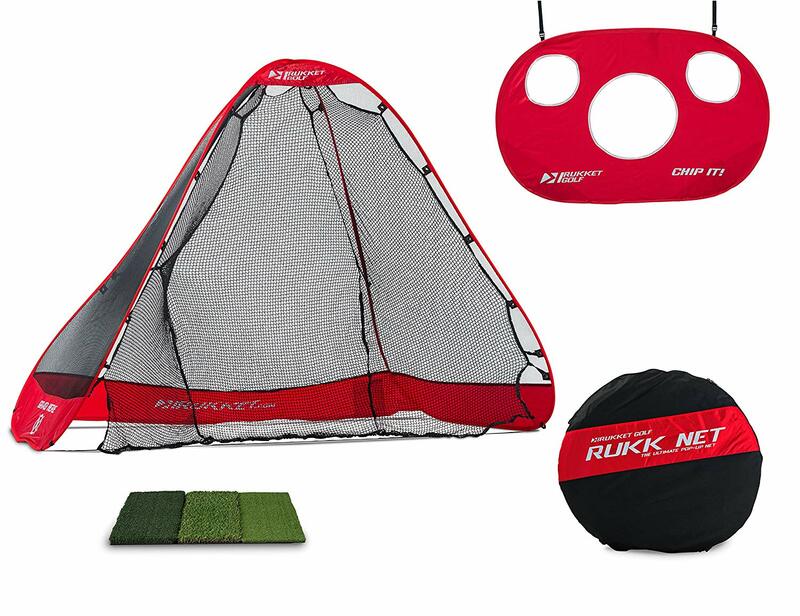 The practice set features a driving net, a driving mat, and a chipping net, constructed with expandable high strength fibreglass sewn to high-quality net and packed in a weather resistant nylon bag for easy carry about. If you desire a training set that’ll offer you all the golf practice features, the 3-In-1 Practice Set is the best option you’ve got! 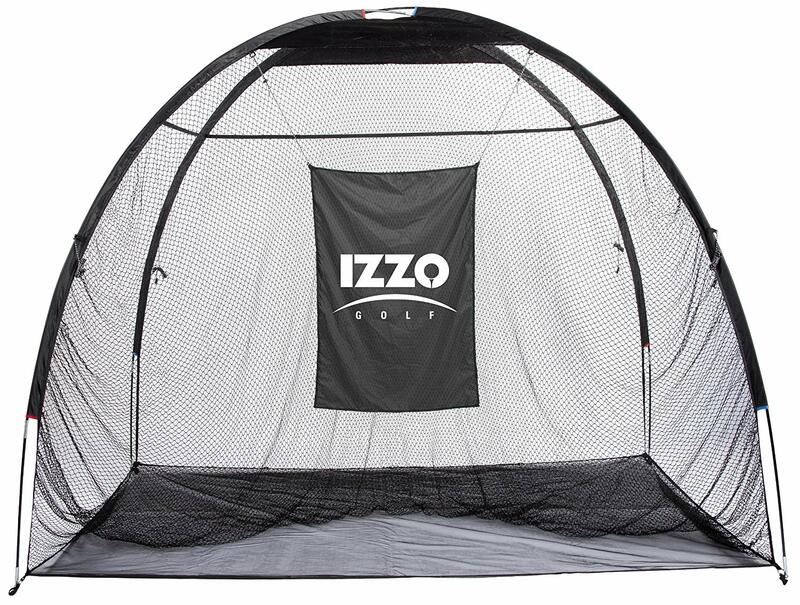 Particularly known for large size and strength, the Izzo giant hitting net is a premium mesh net designed by experienced golf experts to help novice golfers learn and develop great ball striking skills. 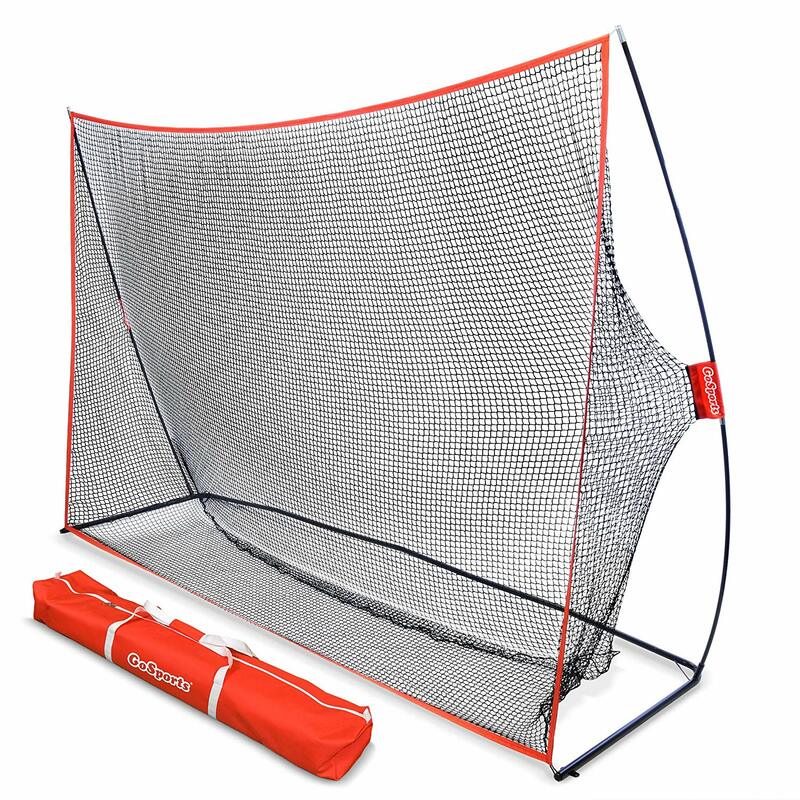 This amazing net features an easy setup/collapse technology, weather-resistant nylon storage case, and a 10-feet wide by 8-feet high training space. If you need a big net with a full driver through the wedge, Izzo Giant Hitting Net is sure to be your choice training golf net. Another amazing golf net from Galileo! 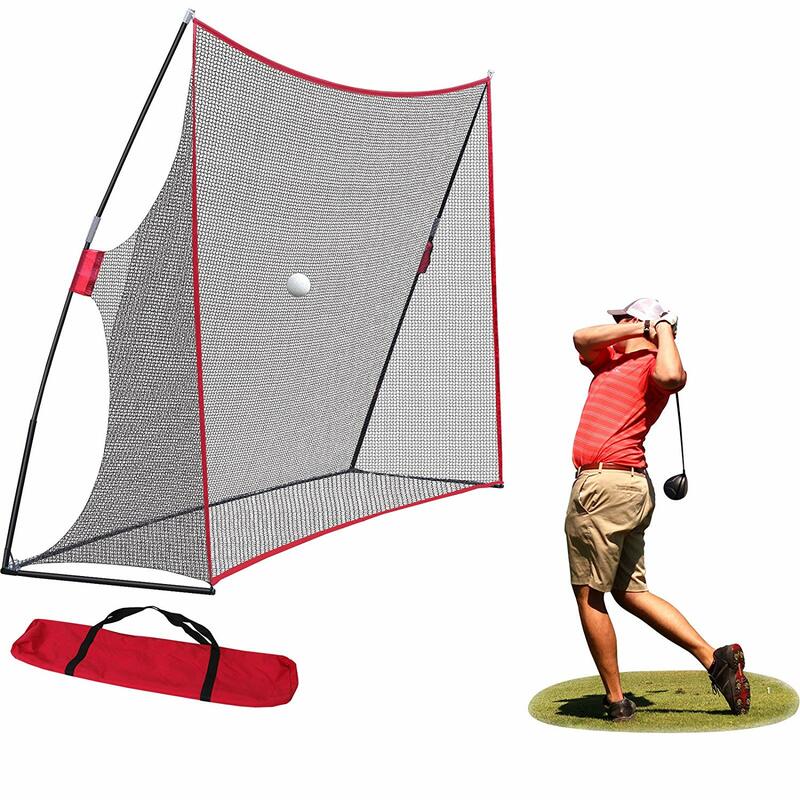 The Galileo Golf hitting cage practice net is an improved version of the ordinary Galileo golf hitting net. This must-own golf net features 50% Nylon + 50$ PE with an improved high-strength steel pipe of 1.2mm thickness covered with long last nylon corners to offer golfers more durability and safety. Talking about convenience and simplicity, this cage net weighs relatively lesser than most golf nets on the market and features an easy setup/collapse. If you’re looking for a US designed practice net that is big, strong, durable, with a trusted warranty, this golf net is best for you. 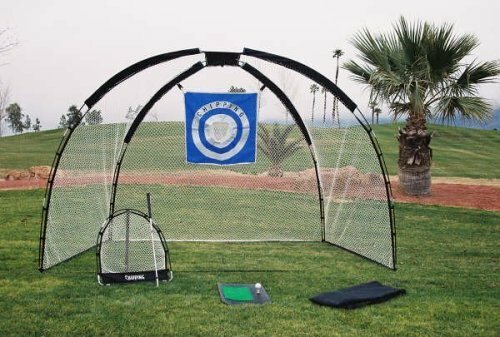 The GoSports golf hitting net is one US designed golfers practice set with a lifetime warranty, designed to offer durability, convenience, and maximal practice. This set features a return ball technology that saves you the stress of chasing balls and offers you more effective practice time. With this super quality net, you’ll be sure to enjoy other amazing features like an easy set/breakdown mechanic, elegantly styled practice net, and an included bonus target aid. Buying the best golf practice net that is right for you requires proper information and guide, from the above list you’ll definitely make a perfect pick. But remember! 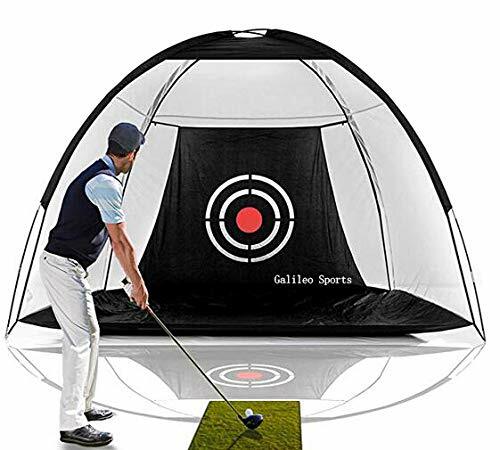 Even if you buy the best golf net without practicing regularly, you’ll won’t get better with the golf game and you’ve just wasted your money. We’ll love to know the practice net you decided to go buy, share your experience in the comment section below, and help guide others to a great pick. Cheers!